GEEK: Have there ever been talks of doing any in-game tie-ins? Kaminski: We do them with Sonic whenever a new game comes out, for instance there's a Sonic Generations tie-in coming up in Sonic #230 that'll act as a primer for the game. With Mega Man, the series hasn't been around long enough to coincide with a new Mega Man game for it to tie in to, but expect to see it down the road! We do adaptations of previously established games too, like the "Sonic Genesis" storyline that ran in Sonic #226-229 (hardcover collection available early next year) which was an adaptation of Sonic 1 and 2 for the Sega Genesis, or the Mega Man 2 adaptation story we've got coming up in Mega Man #9-12. 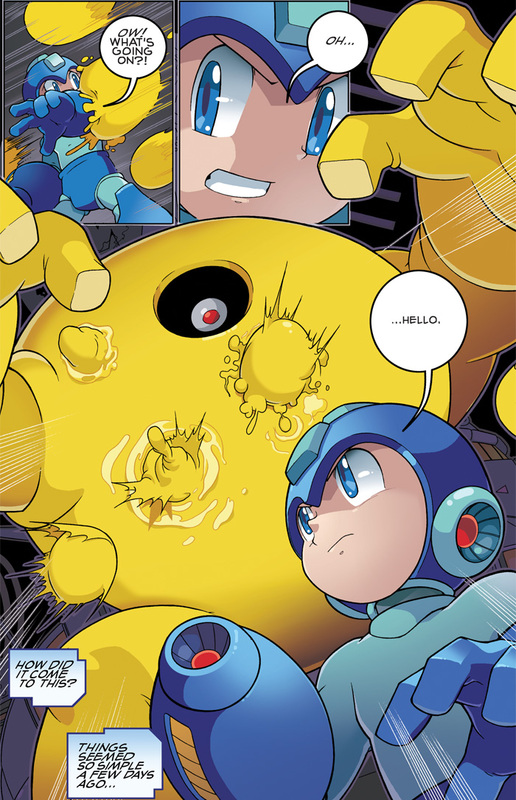 Archie's Mega Man is deeply rooted in reinterpreting the events of games past. However, having a story arc directly related to a new game would certainly be a welcome change of pace. And, you know, having a new game in the first place is nice, too. Kaminski goes on to highlight some future ambitions, once again recognizing the demand for a Sonic the Hedgehog/Mega Man crossover. No mention of the prospect of a Mega Man X adaption, but Kaminski does tease some surprises for next year. Hey, we can hope! Head on down to MTV Geeks for the full interview! Thanks for the tip, Jason! They have enough problems with pacing in a four issue arc and you want them to condense it to a back up story in an issue? Well more luck to you. I hope they include Quint and the Mega Man Killers in the series. But most importantly, the Genesis unit MUST be in there! F.Y.I. to the people who don't know, I mean Buster Rod G., Mega Water S, & Hyper Storm H. from the Wily Wars. You want to make MegaMan X it's own spin-off book, I'll buy every issue. Just don't try what Dreamworks was going to do.